Two photographs of unidentified men, both taken by studios at Old Town, Maine. The cabinet photograph above was taken by the Howe studio, at 113 Main Street. There's nothing written on the reverse. 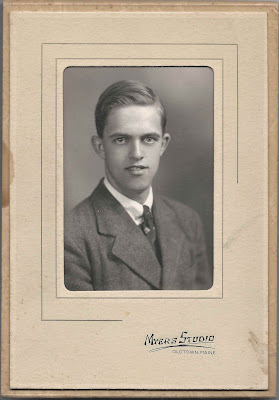 The photograph below, which was taken by the Myers Studio, appears to be a graduation photograph. 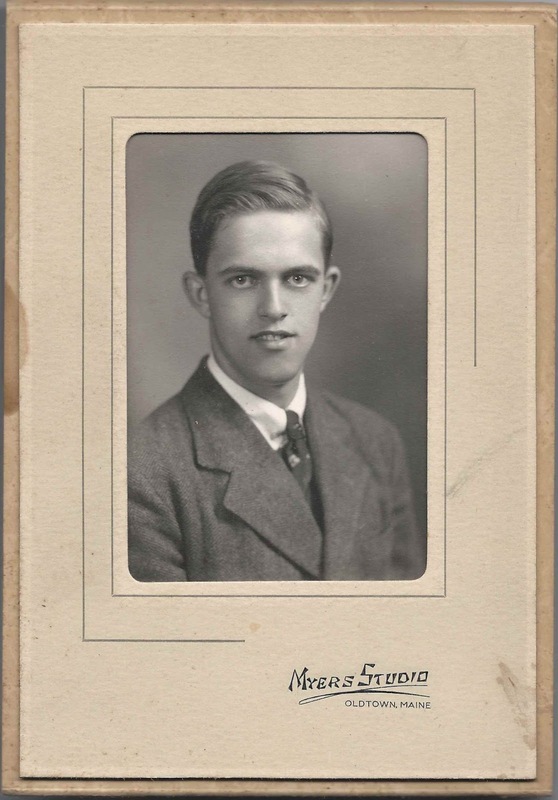 This photograph is inserted in a folder; there's no identification. 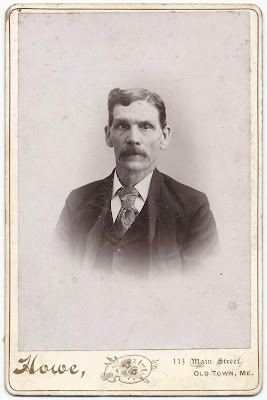 If you recognize either or both of these men from your family albums or research, please leave a comment or contact me directly. Thanks!